Tswreis 6th classes Entrance test Results 2017, TSWRESI entrance test RESULTS 2017 (Results of Back Log Vacancies for VI Class ) Download. 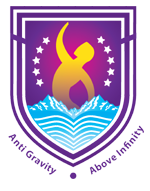 TSWREIS 6th Class Admissions into English Medium Back log Vacancies Online Apply at swreishms.cgg.gov.in. Telangana Social welfare 6th Class Admission Test Online Application 2017 Notification Telangana Social Welfare Admission Test 2017, TSWREIS 6th Class Admission Test Application Form. Last date for apply online Application, Exam Dates , How to apply TSWREIS Admissions, Eligibility criteria, #Hall Tickets, #Results Download and VI Class Admission Test Exam Syllabus, Exam Pattern Details and New Schools Sanction list. Note : The questions will be of objective type and will be both in English and Telugu Medium. 3. Date of Entrance Examination : 18-06-2017. The parental income of the candidate should be Rs.65,000/- per annum in Rural areas and Rs.75,000/- per annum in Urban areas.